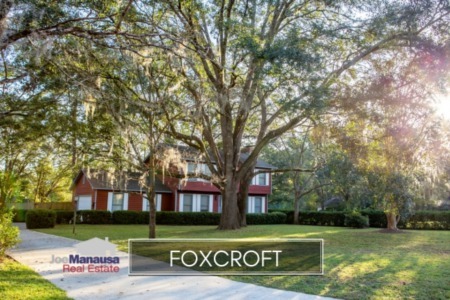 Among the popular destinations along the Thomasville Road corridor in Northeast Tallahassee, Foxcroft has been enjoying a highly active housing market recently. In fact, nearly all the homes that have hit the market this year are sold and gone, leaving just one home available at the time of this writing. Homebuyers continue to find this area highly attractive and thus in high demand, and only the housing bubble stopped Foxcroft home appreciation for a short period of time. But that time has passed and Foxcroft homes are appreciating due to high demand. One of the top reasons for this popularity is the school system. The following homes are the most recent listings in Foxcroft. Bear in mind that both the list and map are dynamic, homes will be added and removed every 15 minutes to reflect what is truly on the market in the Tallahassee MLS. It is important to note that the narrative contained below is for sales through December for all previous years, but through the first three weeks of September in 2016. 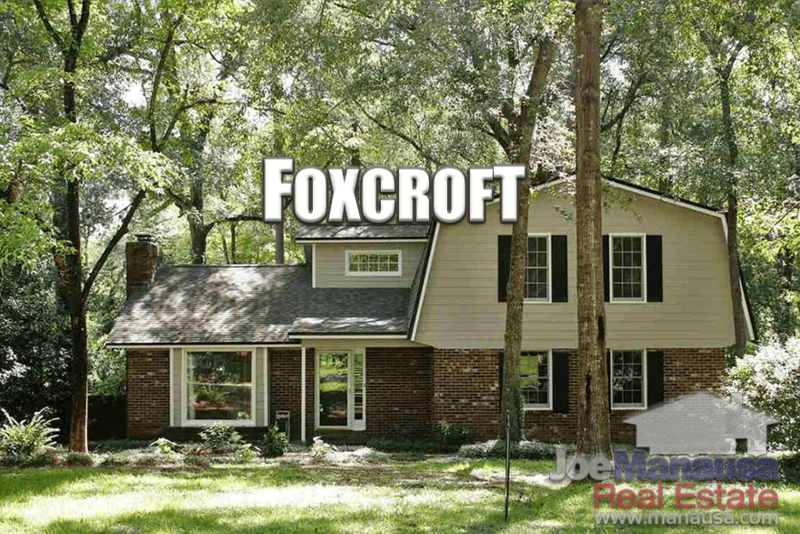 The graphs and the closed sales table will be continuously updated into the future (meaning bookmark this page if you always want to know the current status of homes in Foxcroft). Foxcroft home prices continue to rise, up 7% from last year. Thus far in 2016, the twenty homes that have sold and closed did so at an average price of $207,500. As I have said in the past, when you can find a well-conditioned home in one of these Thomasville Road corridor neighborhoods (like Foxcroft) that is priced below $200,000, don't let it get away! Unfortunately, they might have all gotten away by now. It won't be long before we are advising buyers to grab something if it is available below $250,000. The pace of home sales is very good this year. 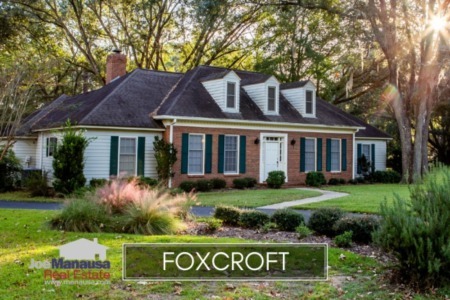 The only reason that Foxcroft won't have a record-setting year is that there are not enough homeowners who are wanting to move. This is great news for homeowners, as demand will continue to push Foxcroft home values higher. Foxcroft home values have appreciated nearly 8% in 2016, and they will continue higher. The twenty home sales this year averaged $113 per square foot. Today, home values are still 17% lower than they were at the height of the housing market in 2006, but are up roughly 35% from the bottom of the market established in 2010. This is solid market feedback telling us that Foxcroft home values will be moving higher. Foxcroft home sizes typically fall in a range of 1,700 to 1,900 square feet, and this year has been no different. The twenty home sales in 2016 have averaged 1,819 square feet. The following list shows more than 500 home sales in Foxcroft going back to 1991. I hope you enjoyed our September 2016 update on home sales in Foxcroft, please feel free to drop me a note if you have questions not covered in this report.